Now that you have read The Beginner’s Guide to Juicing (Part 1), you now have your kitchen cleaned out and ready to get prepared to ‘ADD’ the great foods into your kitchen that are going to bring you ‘ENERGY’ and ‘VITALITY’ and ‘ENDURANCE’ and ‘SUPERIOR HEALTH’. Find a good organic Farmer’s Market, or an Asian Market to purchase your local produce. These are your BASICS for a good week for a family of 4-6. If you are alone, cut in by 75%, or if it’s just for two people, cut it by 50%. When you get home from the Market, take all your greens and fill your sink up with cold water, and add pesticide remover (even if they are organic). soak for 5 minutes and then dry them well with a salad spinner and then coat the lining of zip lock plastic bags with paper towels, and then put the greens inside the plastic bag. They will last a good WEEK preserved this way. Another good tip: Take a half of a lemon and squeeze it into the fresh water where your greens are, and the greens will taste fresher after 5 days, but never let your greens stay in the fridge more than 7 days, except for parsley. It’s actually an herb, not considered a green like spinach or lettuce. Regarding your carrots. Take your 25 pound bag (you should be able to buy them organically for about $15.00) and take all the carrots out of the bag and fill your sink up. 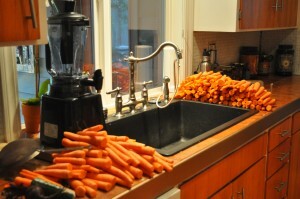 Soak in pesticide wash as well, and then cut off each end of the carrots, and then store in the fridge for future use. We put our carrots into our produce bins in the fridge without any bags. 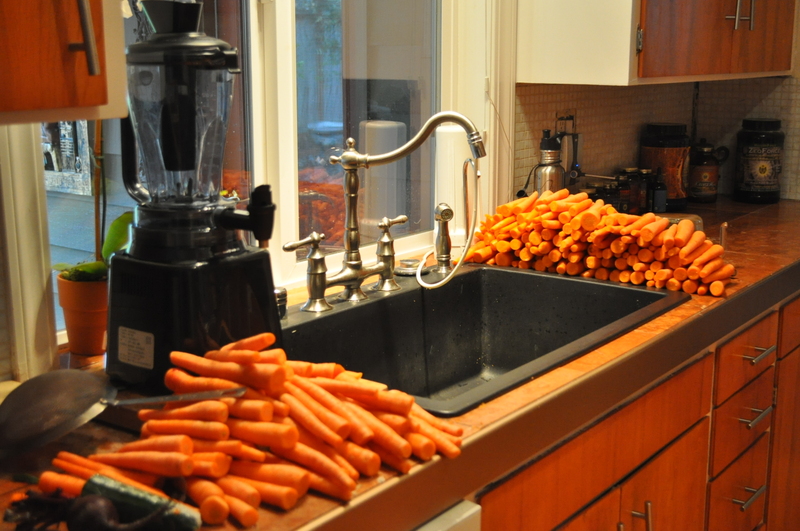 Just set them inside, row by row, so that when you are juicing, it is easy to just reach in and take what you want out. Lemons and limes and apples we also refrigerate, because colder apples JUICE MUCH BETTER, no matter if you have a greenstar or a pulp ejector or a press. It’s just a fact. Beets, celery, cabbage, grapes, pineapples all need to be refrigerated as well, but don’t cut off your greens from the beets until you are ready to juice. Your beet greens will last longer this way, and PLEASE make sure to trim your beets, as they can grow mold and ugly spots on them. So before you buy the beets, make sure to check to see if they are in good shape, as sometimes beets are so dark, that the mold spots and dirty spots are hard to detect. We do not refrigerate our melons. When you are ready to juice your melons and pineapples, make sure you also soak them in a good organic wash as well, and when you decide to juice them, juice their SKINS….these skins have a lot of nutrients right under their skin. If these melons or pineapples are not organic, do not use the skins, even if you soak them. Pineapples are very prickly, and even if you soak them, a lot of dirt and/or pesticde residues are on them, so it’s best not to juice the pineapple skins. Our new book: LIVE FOODS/LIVE BODIES is a book all of you should have that shows you the foods and juices, super juices and super smoothies, including fantastic basic vegan foods to add to your diet. This book took two years for Linda and I to write and is packed with information everybody should have. You can go to our website to get a sneak peak. 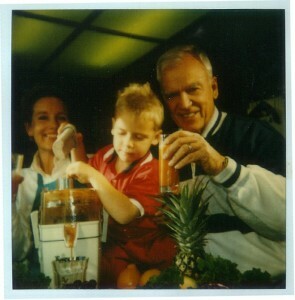 Here’s to “FRESH” JUICE EVERYBODY! Think Juicing can change your life? Well, the answer is Yes! it also changes our palate. The rainbow colors in vegetable juices range from bright orange to deep green, vibrant yellow to strawberry red and deep purple. All these colors not only taste wonderful, they also change the way we think and act as well. Colors in natural foods really do alter and transform the way we think, live, act and choose. Once you start to juice you will start to notice that the cookies, crackers and chips are not eaten as much, and the ice cream starts to ice up more and more. Your white foods start to mold because you are not addicted or attracted to those tastes any longer. Here’s the top TEN Do’s…. 1. Clean out your kitchen entirely. Go to your pantry first. 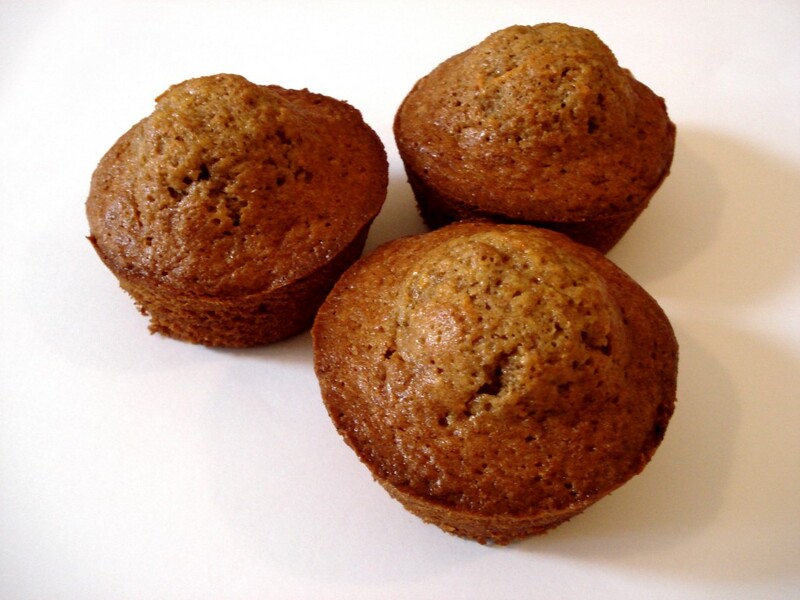 Toss out expired foods immediately. Get rid of or give away cereals that are not 100% completely organic and 100% whole grain and no sugar. If you don’t do this, you will not be able to consistently stay on the juicing regime because you will be tempted to eat these other foods that are close to you. If you have children or a husband/mate that love to eat these kinds of foods, the crackers, chips and cereals, then put them in a box and store them in their room or in a place that is hard to get to. 2. Thoroughly clean all your floors, cupboards, walls and countertops. This helps you prepare mentally, that your kitchen is a place of honor and respect. Once we clean it out, we will think twice about disrespecting it again with clutter and mess. Thus, we will begin to magnetize ourselves to wiser choices in foods and juices. A cluttered kitchen is a kitchen we won’t use daily and we must use our kitchen’s daily in order to achieve our goal to nourish, transform and keep ourselves vitally healthy. 3. Thoroughly clean out your refrigerator…get rid of all foods that are not 100% natural. Toss out deli meats, sweet onions, cheeses and replace with foods such as sprouts, romaine lettuce, red, orange or yellow bell peppers, cucumbers, olives and carrots. These foods make for wonderful sandwiches when sliced and shredded and placed into sandwiches with things like humus as a spread. • Three different kinds of knives: 6 inch chef, paring and serrated knife. • Greens container for lettuces, sprouts, spinach, etc. weekend or whenever they come to your neighborhood. Purchase your fresh greens such as: kale, chard, parsley, spinach, celery, dandelion greens and collard greens. 7. Find a way not to go to a restaurant for an entire week, so that way, your food nutrition is coming from your kitchen. This way, you will get the full benefit from your new juicing regime. 8. Juice once in the morning and once in the evening. Our recommendation is to juice greens in the morning! Here’s a good recipe: 6 celery ribs, 1 large lime, 1 cup parsley and 3 golden delicious apples. In the evening juice: 14 carrots/1/2 beet with 1/2 of its greens/2 golden delicious or any kind of other apples/1/2 cup spinach and 1/2 cup of romaine lettuce or any other kind of greens of your choice. These two tonics should make you about 1 quart of juice daily. Our recommendations are 1.5 to 2 quarts daily, so try to add more as you go. Everybody is different, so use the first three days as a good measure to your own body. 9. Do not eat sugar or white foods during this first week. 10. Write in a journal or record your journey as you go. You will, I promise you, find all kinds of things about yourself you didn’t know about! Epiphany’s ~ Awareness about yourself ~ Discovery of hidden feelings or frustrations will arise. 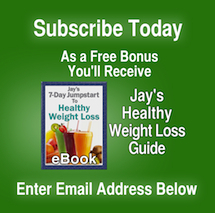 Listen to the challenges and shortly they will transform themselves as you progress into and onto the Living Health Diet rich with lots of green and vegetable juices. This is what is so powerful about juicing. It not only transforms our palate and eating habits, but also brings light to our own personal and spiritual life. * Juices should not be stored for more than one hour. Naturally occurring plant enzymes die off and nutrients disappear as oxidation takes place. Also, bacteria builds up, so please do not store for more than a few hours, max.